Apply glue to nose and let it dry. 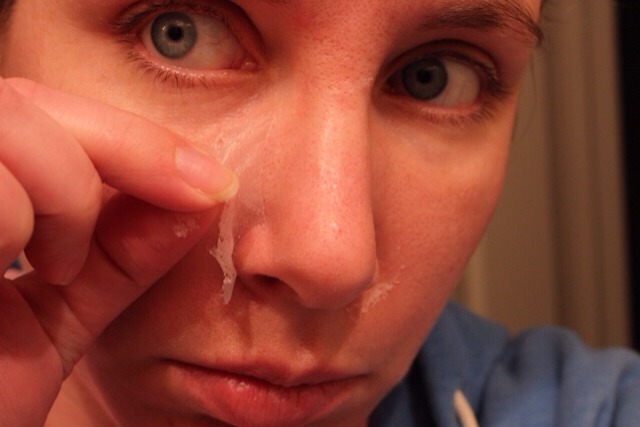 Once it's COMPLETELY dry, simply peel off the glue and you will see all the blackheads that came off with it. Enjoy!